The fight to contain ash dieback continues after discovery of the disease here late last year. The Forest Service is coordinating the national response with various other government and industry groups, along with ash growers. Chalara ash dieback disease is a relatively new, very serious disease of ash caused by the fungal pathogen Chalara fraxinea. It has spread rapidly across much of Europe, with the majority of European countries where ash is present reporting dieback. 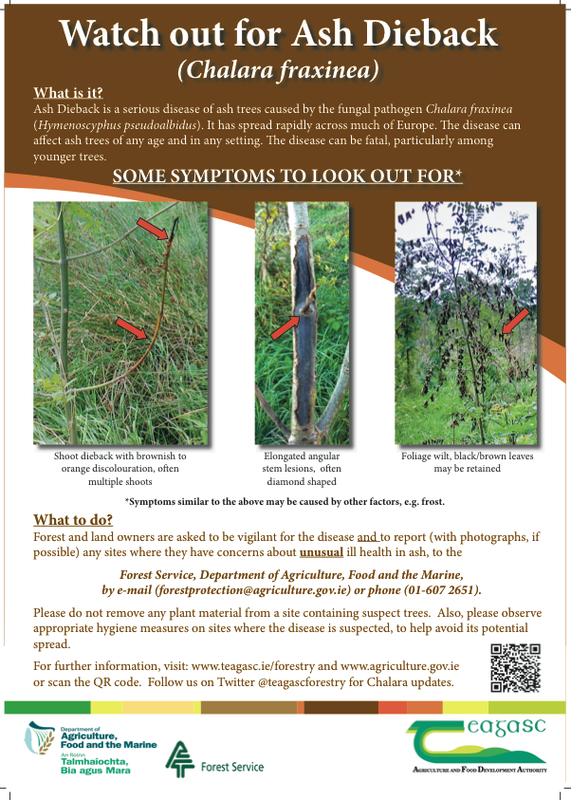 Trees infected with this disease must be felled, in order to comply with EU Plant Health legislation. The Forest Service is calling for vigilance to stop the spread of ash dieback. Growers and the public are being asked to familiarise themselves with symptoms of the disease and to report its presence. Thanks for posting Sean, useful information.